A set of wedding bands based on a recording of a person saying “I do”. 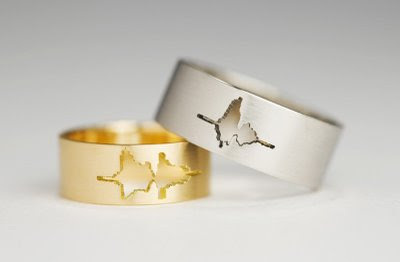 These can be custom produced for any couple in silver, gold or platinum. These are by Sakurako Shimizu. Here is more of his similarly inspired work.